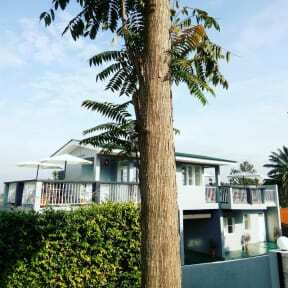 Mijo Hostel is located in a quiet and safe neighborhood. The hostel has clean dormitories, plenty of shower rooms with solar heated water, quality toilets, solid metal beds, individual mosquito bed net, quality towels and linen, fast internet and a well prepared breakfast - all at excellent rates. 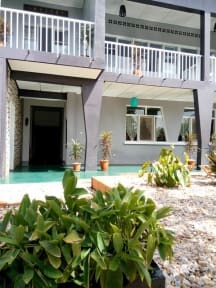 Located in Kimihurura a central upper marker residential area of Kigali within 10 minutes walking distances to the most famous restaurants, clubs and bars such as Papyrus, Envy night club, Sundowner, Afrika Bites and many kiosks selling food and drinks to locals.Many expats and foreign visitors like to have a base in Kimihurura. It is convenient and well connected to the rest of Kigali. The roads in the area are all paved with stones or tarmacked. Walking the area is safe and pleasant. The Hostel has plenty of outdoor spaces where you can chill and work while enjoying free WiFi and fantastic views of Kigali city centre. There is a Cafe with seats on the landing ﬂoor and roof top of the building. The cafe serve breakfast to the hostel guests between 06:00 am and 10:00 am. The food and beverage service is on all day and night until 11:00 pm. Dorms are divided into male and female. The ground ﬂoor dorms are designed to suit individuals, families and groups. 26 beds on the ground ﬂoor are reserved for families and families. Twelve beds are male only. The hostel staff is welcoming. Payment upon arrival by cash, debit cards. This property can pre-authorise your credit cards. Taxes not included. 18% VAT will be added on arrival.